I have long been a fan of APAK, the husband and wife team of Aaron and Ayumi K. Piland. 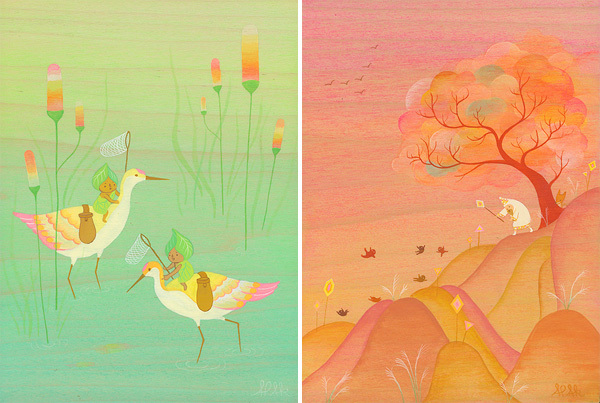 They create fantastic, colorful worlds in their work, filled with little forest creatures and quiet narratives. They live in Portland now and in Japan in the past and I imagine that their environments and cultural heritage very much influence their work. APAK’s artist statement: “They create artwork together as a way exploring the beauty, mystery, and magic of life as well as expressing their love for life and each other. They are known in particular for creating rich and colorful gouache/acrylic paintings on wood featuring the utopian lives and adventures of curious little beings living in lush fantastic environments surrounded by friendly little animals, the landscapes are familiar yet surreal, hinting at a fantastic narrative while suggesting truths about the real world at the same time.” Their work can be found here, and purchased here. Being a Portland artist myself, I see APAK’s work around town quite a bit. They are great at what they do, but personally it all feels a bit too “hipster” for me. The innocent/naive style is always a very hard sell for my liking. I love APAK! Have a got a great print of theirs called ‘rainbow pilgrimage’ that makes me happy every time I look at it or think about it! 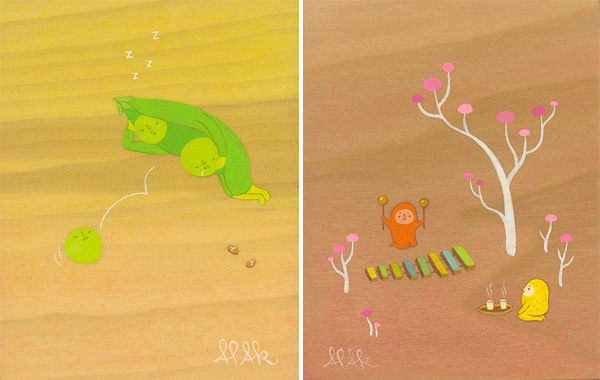 my boyfriend just got me an adorable apak print, i couldnt choose which i wanted because theyre all so sweet. love them! 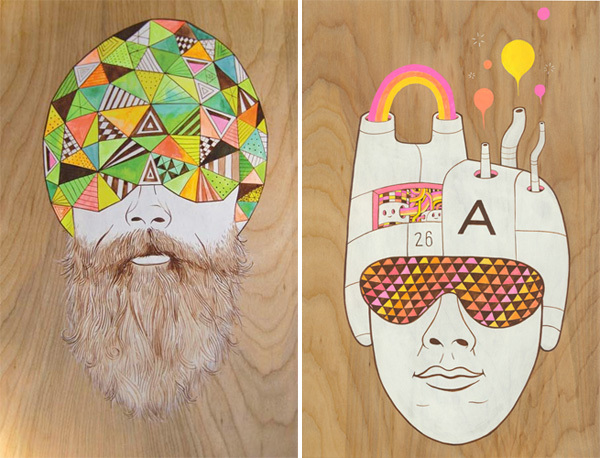 I’m fortunate to live in Portland and therefore am frequently exposed to APAK’s work. Not to mention Aaron and Ayumi are two of the sweetest and most awesome people you will ever meet. Their work together and individually never fails to stun and impress me. Absolutely beautiful.